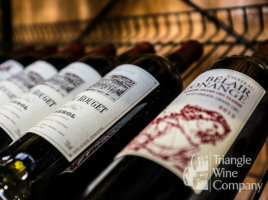 We are proud of the variety and quality of our wines at every price point. 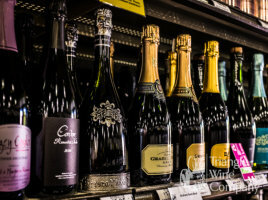 Our stores stock Red Wine, White Wine, Sparkling Wine, Champagne, Rose Wine, Port, and more from family wineries and small-scale producers from around the world. Conveniently shop for fine wine online. If a wine is not in stock in stores or online, we can create a special order. This usually takes one to two business days. Save on our seasonal custom wine packs-- carefully selected wines bundled in discounted packs of 2 to 6 bottles. Save up to 50% off*. 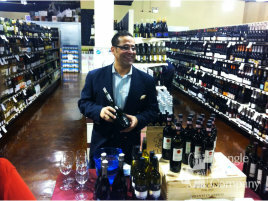 It’s a great way to buy familiar wines and try something new. Browse our selection of sustainably-farmed, biodynamic, organic, & vegan wines and beers. We offer periodic discounts in the form of coupon codes and automatic savings at checkout. In our stores, save 10% everyday when you mix and match to create your own half wine case of 6 bottles or more (online buyers: please contact us for wine case discount quotes). Sip while you shop. Stop by our tasting bar for wine (no corkage fees) by the glass. Visit our store location pages for wine menus. We host wine tasting events and classes on a regular basis. Follow us on Facebook for upcoming events [ MV | CARY | SoPi ]. We can help plan the fine wine and craft beer for your wedding-related events.